These quick and easy chicken quesadillas can be on the table in 20 minutes. 1. 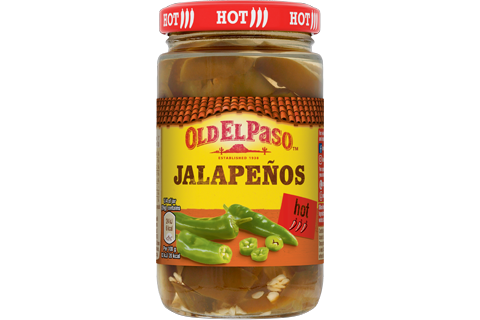 Divide the cheese, chicken, jalapeños and spring onions between the tortillas and fold in half to enclose the filling. Lightly brush the melted butter on both sides of each filled tortilla. 2. Heat a large non-stick frying pan over a medium heat. 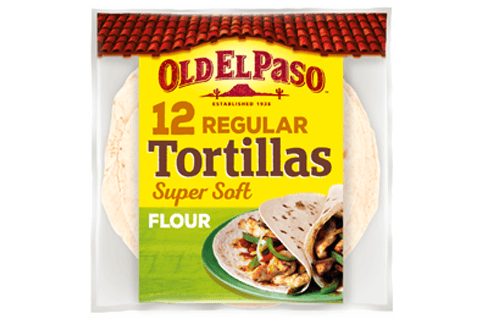 Cook 2 filled tortillas at a time for 3 to 4 minutes, turning once, until golden brown and with the cheese melted. Cut into wedges and serve with the salsa and lettuce. 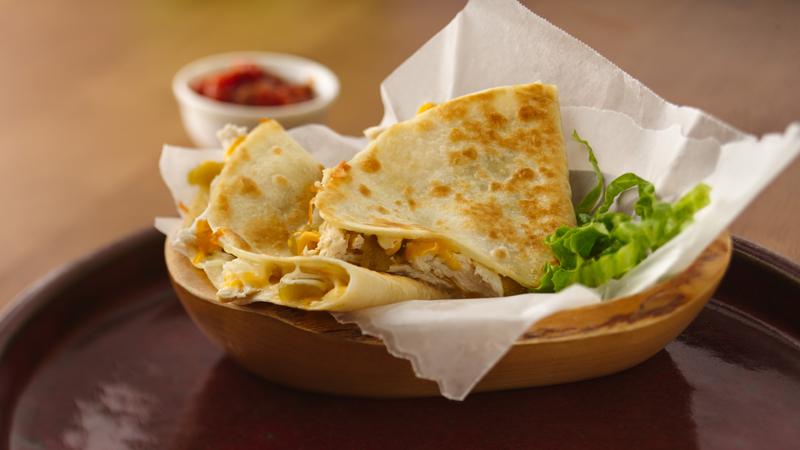 Add some veggies – Why not try adding some sweetcorn and grated carrot into the quesadillas.